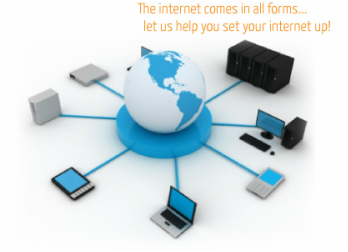 Network and Internet - GET IT DONE AT JACKPINE! Jackpine TechNET will network you with your co-workers and the world. Share information, printers, and files for greater efficiency and productivity. Wired and Wireless networks are available. DSL High Speed Broadband Service is available in selected areas. Email accounts @ jackpine.net or your personal domain name, filtered for safety and convenience are available for a nominal yearly fee. Web Site Design and Hosting, specializing in economical sites for small business, community organization and churches, is available starting at $200.00.